Description and Similar Species: Wingspan 36-40mm. Sexually dimorphic. 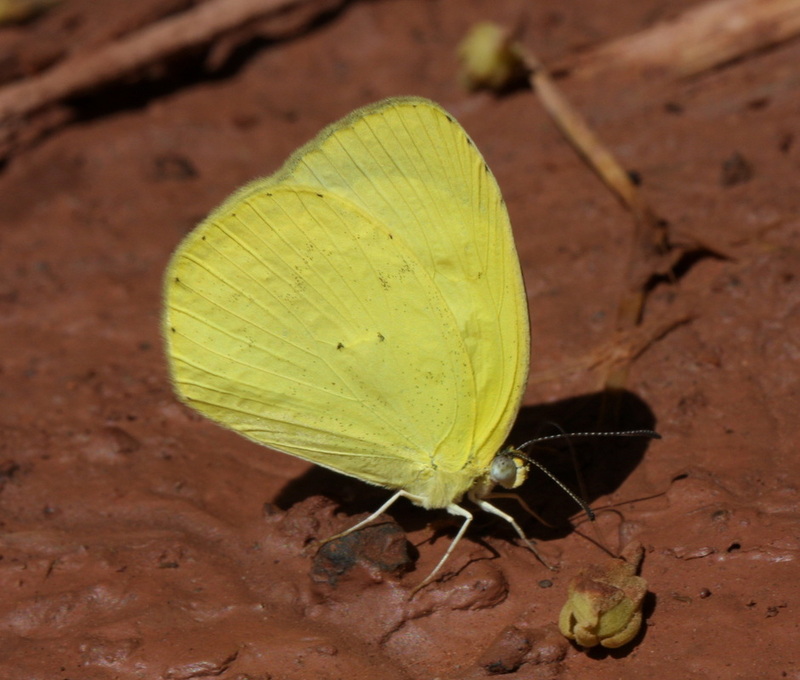 Males are pale yellow on the upper forewing with a broad black tip and narrow black edging along the costa. 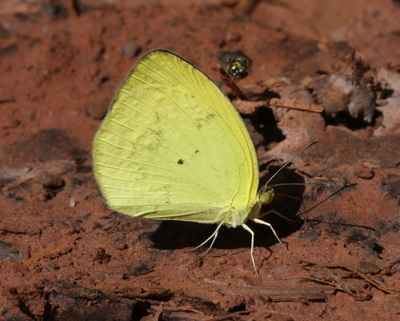 The hindwing is white above sometimes with a narrow black edging. 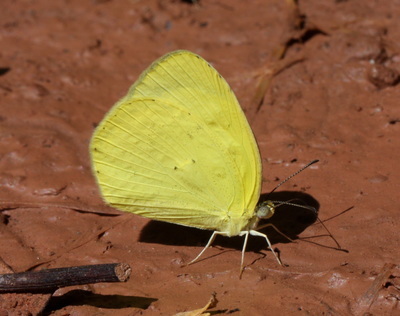 Males are therefore similar to Barred Yellow Eurema daira and Banded Yellow E. elathea but lack the broad dark costa and the black band across the trailing edge of the forewing. Females are similar to males but paler on the upper forewing and also on the under hindwing with more dark markings and sometimes a chestnut patch at the apex. Range: Central America south to Brazil and in the Lesser Antilles as far north as Guadaloupe. Status: A rare straggler to Cuba. There were two specimens collected in 1909 in Pinar del Rio province and now reside in the Oriente University, Santiago de Cuba. Alayo and Hernandez (1987) suggested that these may have been vagrants from Mexico. Larval Foodplants: Unknown in Cuba but larvae have apparently been found on Mimosa elsewhere.